Roux-en-Y gastric bypass (RYGB) is considered effective for weight loss and for treatment of many obesity-related metabolic diseases. Ghrelin is an essential orexigenic peptide that plays an indispensable role in controlling body weight and energy homeostasis of post-operative patients. This systematic review and meta-analysis aimed to investigate changes in the level of fasting total ghrelin following RYGB. 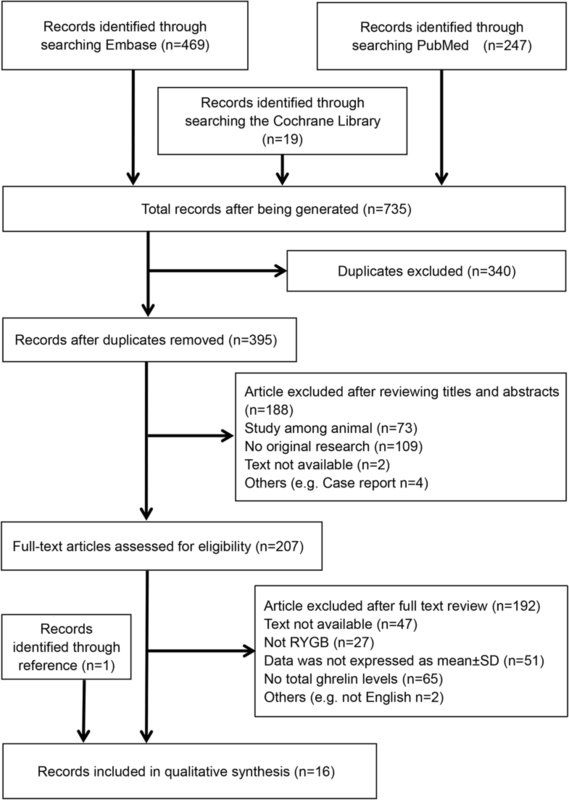 A systematic literature search of PubMed, EMBASE, and the Cochrane Library until April 2018 with keywords “ghrelin” and “gastric bypass” was performed in accordance with the MOOSE guidelines and PRISMA statement. Three reviewers independently selected the studies and extracted data. Quality assessment of the included studies was undergone. A random effects model was employed to calculate overall effect sizes. Subgroup analyses and meta-regression were subsequently performed. Sixteen studies with 325 patients were included. We found ghrelin levels had an increasing tendency (SMD = 0.30; 95% CI = 0.04 to 0.57) despite moderate heterogeneity (I2 = 58%). Subsequent subgroup analysis indicated that ghrelin levels decreased (SMD = − 0.49; 95% CI = − 0.98 to 0.00) in the short term (≤ 3 months) and increased (SMD = 0.46; 95% CI = 0.22 to 0.69) in the long term (> 3 months) after RYGB. Meta-regression showed that gastric pouch volume, alimentary limb length and biliopancreatic limb length were not associated with changes in ghrelin levels. Fasting total ghrelin levels decreased in the short term (≤ 3 months) and increased in the long term (> 3 months) after RYGB. Hang-Cheng Xu, Ying-Chang Pang and Jing-Wen Chen contributed equally to this work. The online version of this article ( https://doi.org/10.1007/s11695-018-03686-3) contains supplementary material, which is available to authorized users. A correction to this article is available online at https://doi.org/10.1007/s11695-019-03857-w.
With the improvement in human living standards, overweight [body mass index (BMI) ≥ 25 kg/m2] and obesity (BMI ≥ 30 kg/m2) have become a worldwide problem for decades, beginning in the last century . Under present circumstances, several weight loss treatments have emerged, including lifestyle modification, medication, and surgery. Among these treatments, bariatric surgery is considered the most effective for long-term treatment of morbid obesity . 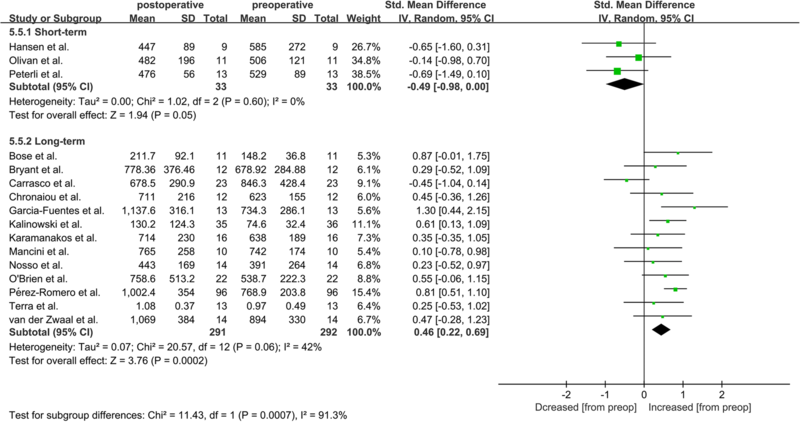 Roux-en-Y gastric bypass (RYGB), as one of many described surgerical procedures, was shown to be effective for long-term weight loss and improvement in obesity-related comorbidities and quality of life . Briefly, RYGB creates a small gastric pouch and attaches it to the mid-jejunum, bypassing most of the stomach and the proximal jejunum . Other than the gastric pouch, there are two limb characteristics of RYGB: one is the alimentary limb where food passes and the other is the biliopancreatic limb which permits biliopancreatic secretion . Despite of its effectiveness, the underlying mechanisms resulting in weight loss and metabolic improvements remain not adequately understood. Numerous studies suggest that leptin and gastrointestinal (GI) hormones, including ghrelin, peptide YY (PYY), and glucagon-like peptide 1 (GLP-1), important regulators in the control of eating, meal-related glycemia, and obesity all display significant changes in levels after RYGB. Thus, it is believed that GI hormone alterations are closely related to the physiological changes after RYGB, which involves complex gut-brain signaling [6, 7]. Ghrelin, a 28-amino acid peptide that was discovered in extracts of rat stomach in 1999  was involved in regulating of food intake and energy balance . Studies indicate ghrelin stimulates appetite , affecting glucose utilization rates in adipose tissue , and promoting hepatic lipogenesis . In healthy individuals, ghrelin expression increased in the fasting status but decreased significantly after meals . Interestingly, Tschöp M et al. found that circulating ghrelin levels significantly decreased in obese people and were negatively correlated with BMI . As mentioned earlier, ghrelin levels change after undergoing RYGB. However, the outcomes are controversial. In some observational studies, ghrelin levels after RYGB substantially increased [15, 16]. By contrast, other studies reported that levels decreased [17, 18]. To date, there has been no meta-analysis to settle this dispute. Thus, we performed this systematic review and meta-analysis to determine the relationship between ghrelin levels and RYGB. Furthermore, we discussed the possible mechanisms of ghrelin levels change after RYGB. This was a systematic review and meta-analysis conducted and reported in accordance with the Meta-Analysis of Observational Studies in Epidemiology (MOOSE) guidelines  and the Preferred Reporting Items for Systematic Reviews and Meta-Analyses (PRISMA) statement . The review was registered at PROSPERO (https://www.crd.york.ac.uk/PROSPERO/) as registration number CRD42018100014. The literature review was performed based on three online databases: PubMed, EMBASE, and the Cochrane Library (until April 2018). The Medical Subject Headings (MeSH) included in the search strategy were “ghrelin” and “gastric bypass,” and the free terms were searched in PubMed. The key terms and free terms were used in every possible combination. The full search strategies for all databases can be found in Supplementary Table 1. Three authors independently reviewed and cross-checked the articles. All agreed that the relevant studies were qualified. We supplemented the search by reviewing references lists of pertinent articles manually. Disagreements among the reviewers were resolved by consensus. Inclusion criteria were as follows: (i) original comparative reports with ≥ 5 patients; (ii) written in English; (iii) conducted on human subjects; and (iv) reporting fasting total ghrelin levels pre- and post-RYGB. Exclusion criteria were as follows: (i) non-human studies; (ii) non-RYGB interventions; (iii) letters and comments, reviews, and meta-analyses; and (iv) data not presented as mean ± standard deviation (SD). Three reviewers independently browsed the studies eligible for this meta-analysis and extracted the corresponding data to fill in a predefined form. Final discrepancies were resolved by discussion. The following data were extracted: study characteristics (author, country, publication year, study design, number of study participants); patient characteristics [age, gender, BMI, diabetes, fasting blood glucose, fasting plasma insulin, the homeostasis model assessment of insulin resistance (HOMA-IR), HbA1c]; outcomes (ghrelin levels); and RYGB features (operative technique, gastric pouch volume, alimentary limb length, and biliopancreatic limb length). We did not contact authors to obtain unpublished data. Quality of included studies was evaluated using the Newcastle-Ottawa Quality Assessment Scale (NOS) for observational cohort studies . The quality assessment criteria were as follows: (i) whether the patients included in the study really represented all people in the population who had undergone RYGB surgery; (ii) whether the non-exposed group was from the same population as the RYGB group; (iii) whether the RYGB had a confirmed surgical record; (iv) whether ghrelin levels had been known before RYGB; (v) whether the study considered the comparability of RYGB and non-RYGB groups in design and statistical analysis; (vi) whether the results of the study had file records; (vii) whether the follow-up time for the population was sufficiently long; and (viii) whether the follow-up in RYGB group was complete. The maximum score attainable was 9 and studies with a score equal to or higher than 6 were considered be eligible for our meta-analysis. As for randomized clinical trials (RCT), we used the Cochrane methodology to assess their quality. The quality evaluation criteria included (i) random sequence generation; (ii) allocation concealment; (iii) blinding of participants and personnel; (iv) blinding of outcome assessment; (v) incomplete outcome data; (vi) selective reporting; and (vii) other bias. Each criterion was judged as high, unknown, or low-risk bias. The results of the assertions were placed in a risk-of-bias summary. We calculated the standard mean difference (SMD) in ghrelin levels post- and pre-RYGB with 95% confidence intervals (CIs). Cochran’s Q (chi-square) test was used to quantify the heterogeneity, and the I2 statistic was used to assess the extent of inconsistency: (1) low> 25%, (2) moderate> 50%, and (3) high> 75%. . A two-sided P value of less than 0.05 was defined as statistical significance. Random effects models were employed to estimate pooled effect sizes . Publication bias was assessed by Begg’s test  and Egger’s test . Subgroup analysis was performed according to time course, diabetes mellitus (DM), blood sample, measuring method, study design, and operative technique. Finally, we did a meta-regression to analyze the relationship between surgical technical characteristics (including gastric pouch volume, alimentary limb length, and biliopancreatic limb length) and change of ghrelin levels. All statistical analyses were conducted using the Review Manager (RevMan 5.3) statistical software and Stata (version 14; Stata, College Station, TX, USA). The flow diagram outlining the searching procedures is presented in Fig. 1. A total of 735 potential articles were identified. After checking duplicates, reviewing titles, abstracts, and full text, 16 eligible articles [15, 16, 26, 27, 28, 29, 30, 31, 32, 33, 34, 35, 36, 37, 38, 39] were included in our meta-analysis. Thereinto, one article was identified through reference . The publication dates of the included articles ranged from 2006 to 2017. The sample size of the trials ranged from nine to 96. Quality assessment of the included studies is presented in Supplementary Table 2 (for cohort studies) and Supplementary Fig. 1 [for randomized controlled trials (RCT)]. Through layers of screening, 325 patients were finally enrolled in our meta-analysis. Detailed characteristics are displayed in Table 1. The BMI of all the participants were more than 40 kg/m2 and some of the patients were diagnosed with DM. Fasting plasma and serum total ghrelin levels were examined by the means of enzyme-linked immunosorbent assay (ELISA) or radioimmunoassay (RIA). Data of RYGB features (gastric pouch volume, alimentary limb length, and biliopancreatic limb length) are listed in Supplementary Table 3. As demonstrated in Fig. 2, ghrelin levels after RYGB were significantly higher than pre-surgery levels [SMD = 0.30; 95% CI (0.04 and 0.57), P = 0.03]. The SMD from studies that exhibited significant heterogeneity was assessed by a random effect model (I2 = 58%, P = 0.002). No Publication bias was found using both Begg’s test (P = 0.322) and Egger’s test (P = 0.061). We divided these studies into two subgroups: short term (measuring time within or equal to 3 months) and long term (measuring time exceeding 3 months). The short-term subgroup consisted of three studies [27, 30, 37] and the analysis showed that fasting total ghrelin levels after RYGB were significantly lower than pre-surgery levels [SMD = − 0.49; 95% CI (− 0.98 and 0.00), P = 0.05, I2 = 0%]. The measuring time of ghrelin in 13 studies [15, 16, 26, 28, 29, 31, 32, 33, 34, 35, 36, 38, 39] was longer than 3 months. These studies showed that ghrelin levels after RYGB surgery were markedly higher than pre-surgery levels [SMD = 0.46; 95% CI (0.22 and 0.69), P = 0.0002, I2 = 42%]. These results are shown in Fig. 3. In the subsequent analysis, we analyzed other subgroups classified by DM (yes, no or yes/no), blood sample (plasma or serum), measuring method (ELISA or RIA), study type (RCT or cohort study), and operative technique (laparoscopic, open/laparoscopic or unknown). 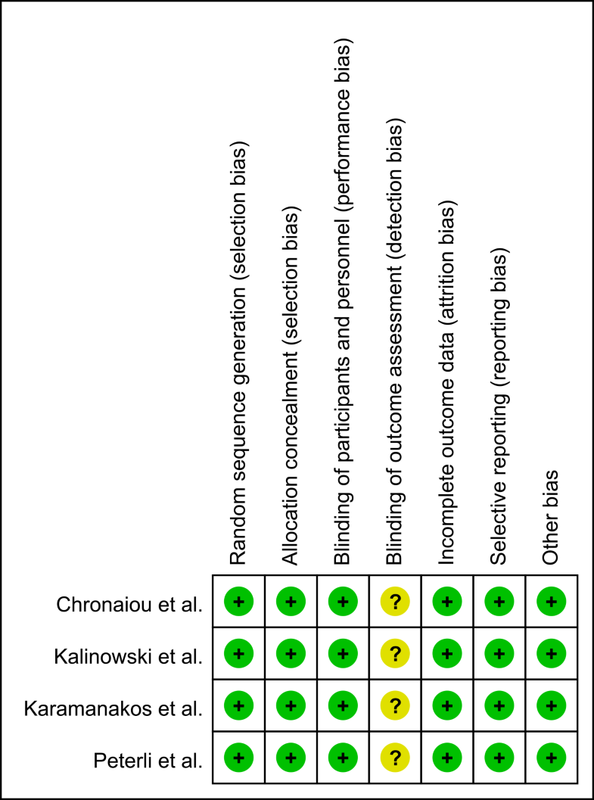 However, as illustrated in Table 2, the outcomes showed either no significance or high heterogeneity based on the presented evidence. Meta-regression analysis (Table 3) indicated that gastric pouch volume, alimentary limb length, and biliopancreatic limb length were not significant predictors of the change in fasting total ghrelin after RYGB (P > 0.05 for all). In our meta-analysis, we found that fasting total ghrelin levels changed after RYGB and this change was associated with time course of the surgery. To the best of our knowledge, this was the first systematic review and meta-analysis to use statistical methods to observe and analyze clinical trials of total ghrelin level changes. Using subgroup analysis, we attempted to seek the source from which heterogeneity of post-operative ghrelin levels were generated. Previous studies suggested that most patients’ appetite and preference for food changed after undergoing RYGB. 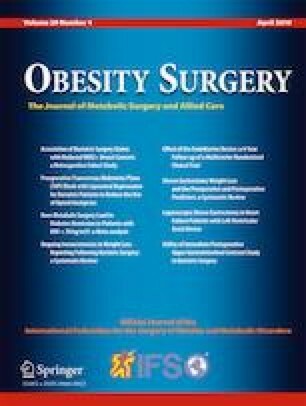 Their preference for high-fat diet was far less than it was prior to surgery, and this high-fat aversion may be another cause of energy intake reduction in addition to malabsorption [26, 40]. We believe that hormones relating to food intake, including ghrelin, GLP-1, leptin, and PYY, may play vital roles in alteration of eating behavior. Regarding post-RYGB ghrelin levels, however, divergence emerged. Hence, we tried to reconcile disparate reports and draw a rational conclusion as to how ghrelin levels change. While screening articles obtained from databases, we found 16 pieces met our criteria. In the process of extracting data, we focused on the ghrelin level at various time points after RYGB and other factors as well that may influence it. In the overall analysis, the time points we selected were closest to 1 year. From the forest plot (Fig. 2), we found that, at this time, post-operative ghrelin levels increased significantly (P = 0.03). However, moderate heterogeneity (I2 = 58%) suggested some confounding factors may have been responsible. Consequently, we performed subgroup analysis attempting to reduce or eliminate the heterogeneity. In the subgroup analysis, the interval between the operative time and testing time was assumed to be an important factor, since previous studies had found this problem but failed to provide an answer . To reduce the heterogeneity, the groups were divided into short-term (≤ 3 months) and long-term (> 3 months) subgroups. The forest plot is shown as Fig. 3. Ghrelin levels decreased in the short term but increased significantly in the long term. Considering the bias of short-term ghrelin levels that might be generated by small sample size (only three studies with 33 patients), we also extracted data of ghrelin levels within 3 months from these 16 articles. There are total six articles [26, 27, 30, 36, 37, 38] mentioning short-term ghrelin levels and we found a similar outcome [SMD = − 0.23; 95% CI (− 0.51 and 0.05), P = 0.70, I2 = 0%] to Fig. 3. Rodent data by Williams DL et al. suggested that the vagus nerve mediated secretion of ghrelin . Sundbom M et al. found that ghrelin levels fell transiently after RYGB which they hypothesized possibly due to vagal dysfunction . Moreover, Lin et al. reported that the most significant declines of ghrelin levels were observed following division of the stomach to create a small gastric pouch . Another clinical trial by Cummings DE et al. suggested that gastric restriction as one mechanism by which RYGB suppressed ghrelin secretion , since gastric restriction caused impaired ghrelin secretory capacity . As for long-term outcomes, post-operative ghrelin levels were higher than pre-surgery levels that were similar to those of healthy individuals . Randy J. Seeley suggested that weight loss or dynamic adaptation of the GI tract may result in such gradual normalization of ghrelin secretion after RYGB . So far, the mechanisms of weight-losing effects of RYGB are not clear. Based on our present study, we believe that ghrelin may play a role in the weight loss of the patients undergoing RYGB in the short term. But in the long term (about 1 year after RYGB), ghrelin levels did not keep decreasing while weight of the patients continued to decline, indicating ghrelin might not be involved in the weight-losing effects of RYGB in the long term. There might exist other factors contributing to it. Despite of the weight loss in the earlier stage, as reported in a clinical study, a portion of patients suffered weight regain as time passed for some reasons . The elevation of ghrelin levels could explain the fact. Work of Tamboli RA et al. suggested that increased ghrelin levels could be detected in patients who experienced weight regain . In turn, we assume that the elevation of ghrelin may indicate the weight regain in the future although the weight of patients might not rebound yet at that time. Interestingly, in the study mentioned earlier, the authors concluded that ghrelin level was not correlated with weight regain in 5 ± 4-year post-RYGB . Further research may better define potential associations between ghrelin levels and weight change after RYGB. In our analysis, the post-operative BMI did not rebound as the ghrelin increased in the long term post-RYGB [SMD = − 3.23; 95% CI (− 3.84 and − 2.63), P < 0.00001, I2 = 73%, data not shown]. This outcome might be the result of shorter follow-up time compared with the abovementioned studies. Moreover, our results indicated that ghrelin levels (12 months after RYGB) were negative related to weight loss (β = − 0.08, P = 0.001, data not shown). We also observed and analyzed other factors that could affect ghrelin levels, including DM, blood sample, measuring methods, study type, and operative technique (Table 2). However, subgroup analysis did not show reduced heterogeneity. Hence, based on our present extracted data, the abovementioned factors might not be the causes accounting for the overall analysis heterogeneity. Collectively, our work determined the connections between ghrelin levels and time course of RYGB. As mentioned earlier, many other hormones may contribute to the effectiveness after RYGB except for ghrelin. Changes in levels of leptin, PYY, and GLP-1 after RYGB were also reported in some of the included studies [27, 30, 35, 37]. To speak of GLP-1, a meta-analysis of Pichamol Jirapinyo et al. indicated that fasting levels remained unchanged while post-prandial GLP-1 levels increased after RYGB and the latter were negative related with alimentary limb length . However, our meta-regression results did not support a relationship between ghrelin levels and RYGB surgical technical characteristics (including gastric pouch volume, alimentary limb length, and biliopancreatic limb length). Limitations should be considered when interpreting our meta-analysis. First, the total number of included studies was only 16, with 325 patients having sufficient data. Second, comorbidities that could also affect ghrelin levels were found in many patients enrolled in the studies, including hypertension and asthma. Future study should focus on the relationship between post-RYGB weight change in longer term and ghrelin levels to further explore the effects of ghrelin on bariatric surgery. On the basis of the current evidence, levels of ghrelin decreased in the short term (≤ 3 months) and increased in the long term (> 3 months) after RYGB. Meta-regression did not indicate associations between gastric pouch volume, alimentary limb length and biliopancreatic limb length, and ghrelin levels. Additional clinical trials with larger sample sizes and more available data with diverse time intervals may clarify these issues. This work received financial support from the National Natural Science Foundation of China (No. 31371168 and 31872791).